It is cold outside and the homeless and all who help them need our prayers. Donations of warm weather items (such as hats, gloves, hand warmers, coats or blankets) can be dropped off at the facility Monday – Friday between 8:30 am and 6:30 pm. Financial gifts will be used for the operational costs of keeping our building open and staffed during these extreme weather conditions and to purchase any needed supplies. 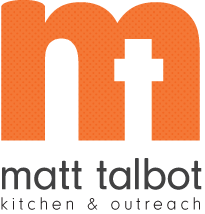 Special thanks to all the volunteers braving the elements to provide hot meals at Matt Talbot. Thank you for your prayers and stay safe out there.